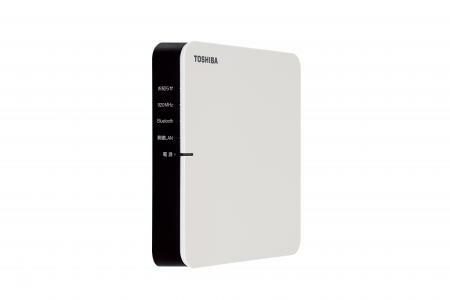 Toshiba Home Gateway is a device for monitoring energy or operating connected HEMS devices such as air conditioners. By connecting to the Internet, users can use “Feminity Club” which is the Toshiba HEMS cloud services. Without the Internet, users can also use “SimpleHEMS” which is local HEMS services. The Home Gateway connects to Toshiba HEMS devices with wireless (Bluetooth, Wi-SUN) or wired (LAN). Monitoring electricity of a smart meter is available with the connection to a smart meter (Wi-SUN type). The list of HEMS devices connectable to the Home Gateway is available at the following web page.